Whole Foods Market took a key step toward becoming a part of the Amazon empire on Wednesday, as the organic grocery chain’s shareholders approved its sale to the e-commerce giant in a deal valued at $13.7 billion. With the shareholders’ approval in place, all that’s left is for the Federal Trade Commission to approve the buyout before it can close. Dozens of shareholders gathered at Whole Foods’ headquarters on Bowie Street in Austin to vote on the deal, while others voted by mail, telephone or via the Internet. Market analysts and consumers are eager to see how the merger will impact the grocery industry, although Amazon so far has said little about its plans for Whole Foods. Analysts predict Amazon could look to integrate its Echo home systems into stores and lower the food prices that has led to criticism for Whole Foods. What Amazon representatives have said is that if the buyout goes through, the company will keep the Whole Foods name on stores and retain CEO John Mackey, who co-founded the grocer in 1978. The rest of the executive team is expected to leave while collecting almost $20 million combined through golden parachute compensation plans. If the buyout closes, Whole Foods shareholders are guaranteed to receive $42 per share from Amazon, a price that’s 27 percent higher than what the stock was trading for before the agreement. Shares have been trading between $41 and $42 since the companies announced the deal on June 16. Before the vote on Wednesday, at least three shareholders sued Whole Foods after the companies announced the deal, claiming that the potential buyout undervalues Whole Foods and that Whole Foods executives have not been transparent enough about the terms of the deal. Shareholders strolled in and out of Whole Foods’ headquarters on Wednesday, passing through automatic glass doors in the lobby and up elevators into a crowded rectangular-shaped room, where Mackey spoke to shareholders about the company’s past, its growth and said he was “very excited” about the deal with Amazon. Mackey did not comment further on the deal or what would happen after the merger. “It’s a surprise,” he said, according to shareholders who attended the meeting. When asked by a shareholder what his greatest mistakes have been, Mackey said he has promoted some people that he shouldn’t have and has let others stay in their jobs too long. He also said some of his biggest achievements have happened because of the people he hired. Whole Foods did not allow interviews with Mackey or any shareholders in the meeting room or anywhere on the company’s property, and did not provide any details on the vote other than that shareholders approved all terms of the deal. Whole Foods executives have been looking for a way to boost the company after what have been subpar years in sales and insufficient brand development. The grocer, which has more than 450 stores and employs about 87,000, has recently reported several fiscal quarters of declining same-store sales and seen a fall in profits. Shareholders this year had questioned the company’s strategy as Whole Foods struggled to stop competitors from other brick-and-mortar brands and increasing competition from online retailers. Amazon and Whole Foods executives began talks in April, a year after Amazon first reportedly looked into buying Whole Foods. Other companies such as Albertsons had also reportedly been interested in Whole Foods, but ultimately, the grocer’s executive team agreed to terms with Amazon, which is worth about $472 billion. 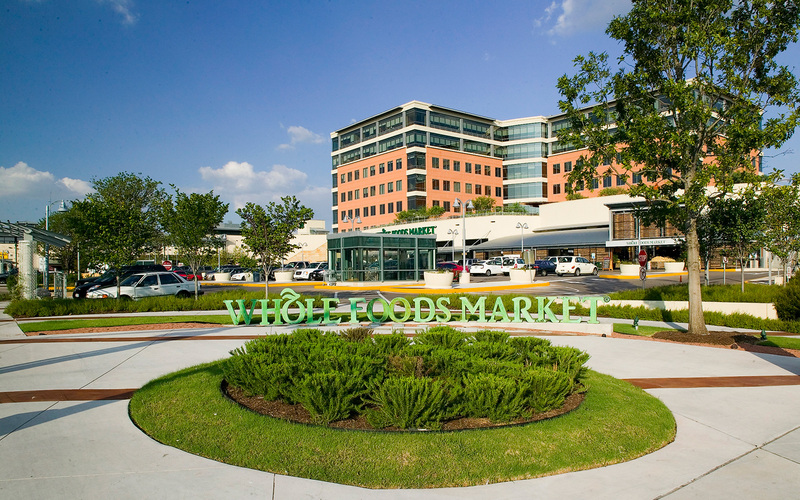 Amazon recently announced that it is selling $16 billion worth of bonds privately to fund the purchase of Whole Foods. Banks led by Bank of America Corp. and Goldman Sachs Group Inc. are reportedly giving Amazon a bridge loan to temporarily fund the deal. Some U.S. lawmakers, such as U.S. Rep. David Cicilline, D-Rhode Island, have raised concerns about the potential merger’s effect on consumers, but it’s still likely to be approved by the Federal Trade Commission because combined, the companies would only share less than 2 percent of the grocer market, meaning that there is no immediate concern for Amazon to monopolize the grocery business. The final shareholder vote count was not revealed on Wednesday, but it is expected to appear in a future public filing by the company.